The Toni Taylor Team has a highly knowledgeable staff in South Florida, we truly encompass the word TEAM. Priding ourselves in top notch COMMUNICATION, we work seamlessly together to provide all Florida residents with the highest quality home loans. Whether you are looking to build your dream home, purchase a home, refinance, do some home improvement, or simply check rates, we are always here to help! No cash to put down? Less than stellar credit? Just not sure what you can afford? No matter what has held you back in the past, Interconnect Mortgage Inc. can help you find your best fit. Click the "Ask A Question" button below to send us a message by email or feel free to call my office at 561-207-8049. Before you leave, make sure you review the Florida Home Loan Buying Resources, Insider Reports and Florida Mortgage Calculators. All are designed to help guide you through the home buying process so you avoid making costly mistakes. 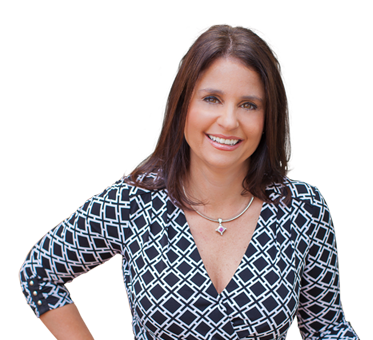 For a free no-obligation consultation regarding your credit or any other mortgage or real estate questions, please don't hesitate to call me at 561-207-8049. Toni Taylor did a fantastic job with the mortgage process from start to finish. I would highly recommend her to anyone searching for a mortgage. I was very happy with how patient and understanding she was for me as a first time home buyer and this being all new to me she was great. Toni and her team played a huge role in helping to make this process seem less daunting and tedious. They were incredibly responsive and went above and beyond to help us execute a quick close. Highly recommend this local resource to anyone who wants 5 star service!! Toni Taylor did an outstanding job for us on our recent purchase of a home in Florida. She was extremely knowledgeable, helpful, always accessible and delivered great results for us. When we told her that membership fees for our development would be going up $10,000 in a little over a weeks' time, she came up with a plan to help us close before the increase. She is quite pleasant to work with too. This is a great team to work with in buying a home, not only very dedicated but kept me informed every step of the way. They have your best interest and stays on top of everything that needs to be done. Nothing falls through the cracks. Thank you so much. Very appreciated in all you did for me. As a first time home buyer, I was not sure what to expect from the lending process. People warned me about how time consuming and exhausting it would be. In actuality, it turned out to be a breeze with no surprises or delays! I was able to close on the exact date that I wanted. I am very happy with how everything went from beginning to end. I would highly recommend Toni Taylor! Everyone at this company was great!! Had my refinance done quickly and efficiently. Very easy to work with!! Both Toni and Brian were extremely helpful. Thank you! First time home buyer , Tony experienced team guided me in a perfect , easy and no hussle way in getting a mortgage loan. I would recommend her to all my friends and to anyone that is looking for a home purchase or mortgage refinance.